we are in a position to cater all your requirements of the above mentioned items. We therefore, desirous in enlisting our name with your organization as a vendor having been in the field since 1981. We are well established. 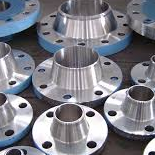 We are regularly supplying these items to many leading industrial units consisting of chemicals/fertilizers/petrochemical plants, paper mills, cement plants/ sugar mill/ fabrication units etc.